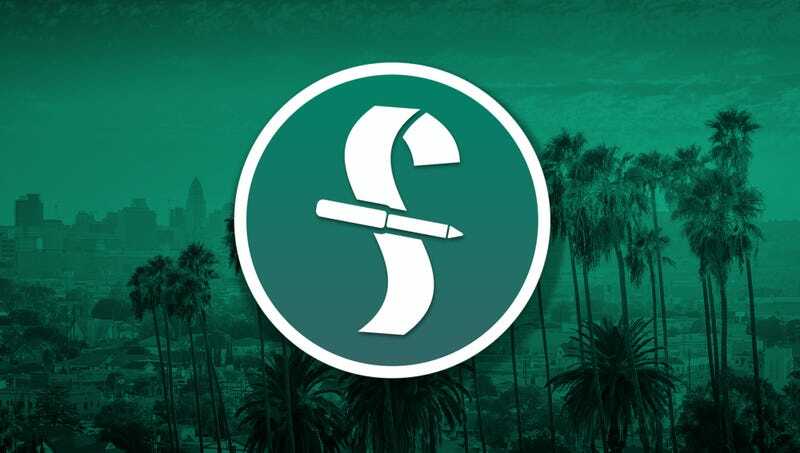 BURBANK, CA—Promising that the new feature will eliminate untold hours in editorial busywork, screenwriting software Final Draft released an update Thursday that includes stock female characters to help fill out scripts. “From aspiring writers to Hollywood pros, we’ve made it easier than ever to pad out your movie with a few token female characters,” said Final Draft CEO Marc Madnick, noting that the streamlined interface allowed users to select from a convenient dropdown menu containing common female archetypes such as “Girlfriend,” “Femme Fatale,” “Cute Coffee Shop Worker,” “Bitchy Boss,” and three variations on “Mom.” “Our software will even recognize when you type a female character’s name, like ‘Rosa’ or ‘Amber,’ and ask you to clarify whether they’re a love interest who dies to drive forward the narrative arc of the male protagonist or a stripper just providing some eye-candy in the background. Then it will auto-generate some dialogue—mostly about the movie’s cast of men—and you’re ready to get to work on the part of the script that really matters.” At press time, Michael Bay had released a user testimonial praising the feature and saying that he couldn’t imagine writing another script without it.